Clerk.js comes with built in support for Faceted Search. Any product attributes you send to us can be used as part of the Faceted Search. The data-facets- parts allow you to enable and customise the Faceted Search. 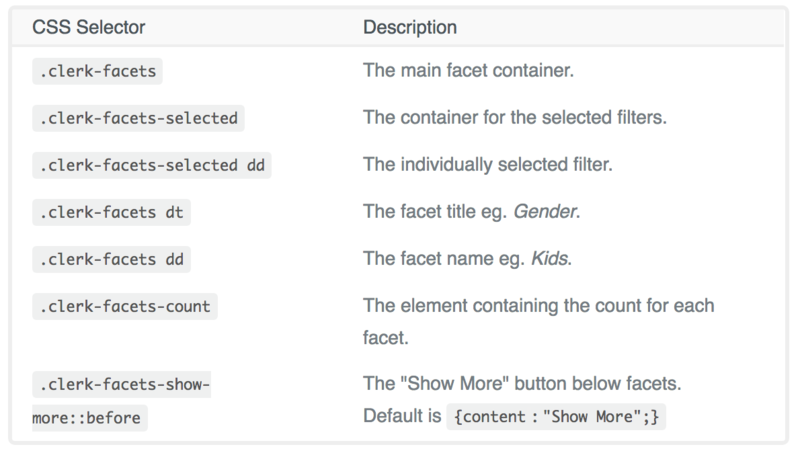 By adding these to your Search embedcode, facets will be displayed as soon as results are shown.